Back of the Dragon. VA16, Marion to Tazewell, Virginia. Thirty-two miles, one way. Three mountain ascents and descents. Untold number of sweepers and tight hairpin curves. Beautiful vistas. The tag line is a snub at the Tail of the Dragon in North Carolina/Tennessee: “Eleven……Try thirty-two.” This is one freakin’ fantastic road! This is a sports car enthusiasts paradise. The county here is trying to market this road similar to the Tail of the Dragon, to increase tourism in this rural section of Virginia. Marion is a small town, Tazewell even smaller. 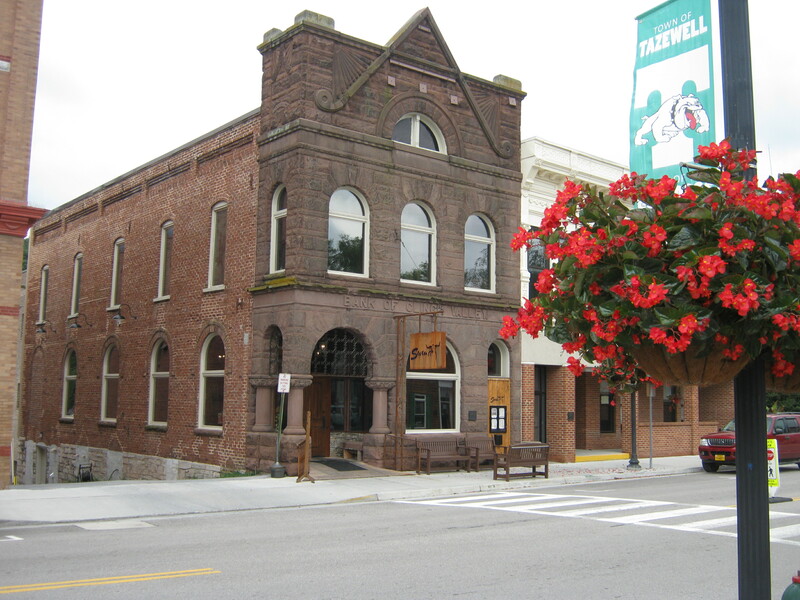 The nearest town of any size is Wytheville, a 20 minute hop on I-81, and it is small. The surrounding countryside is absolutely gorgeous. Roo and I took this trip in our Mazda Miata MX-5, and this post is appropriate to appreciate what this road can offer to motorcyclists. My Honda NC700XD will get its crack at the Back next year. Now thats one happy MX-5! 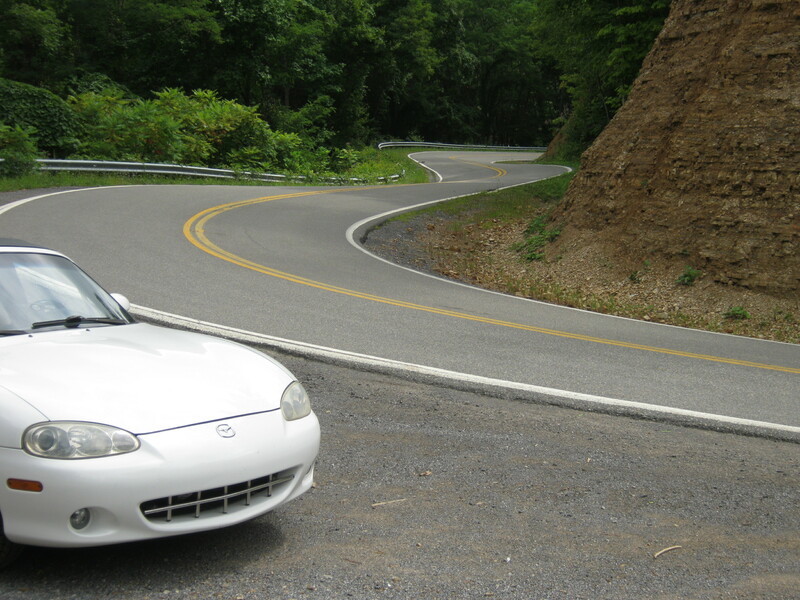 This road has everything to keep the sports car enthusiast entertained: sweepers, tight hairpins, offset camber curves, three mountains to traverse, oh, and a nice little coffee shop in Tazewell to caffeine up for the return thirty-two miles to Marion. It was raining on and off, so a drop top drive was not in the cards today. Exhilarating none the less. Our base for the Dragon Drive was the Trinkle House in Wytheville. A beautiful B&B that sported very reasonable rates in a restored house built in the 1880’s. A truly relaxing place to chill with a glass of wine on the veranda after dueling the Dragon beast. A short walk to downtown Wytheville brought us to dinner, then a walk around downtown had us seemingly in a time warp in small town 1950’s. Back to the Future re-visited. Both of these roads have their appeal. The Tail of The Dragon in North Carolina/Tennessee is a technical road by virtue of the continuous curves thrown at you, many of them blind and off-camber. At eleven miles, it is short, so multiple runs over a day or weekend are a must for maximum enjoyment of time spent. This, of course, decreases the challenge during each run as one becomes proficient at “learning” the road (depending on speed and other road users). 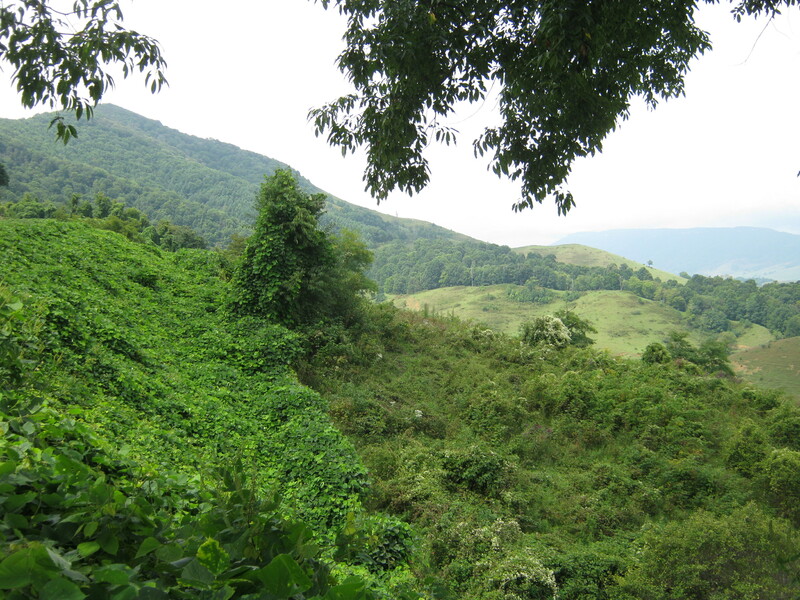 The Back of the Dragon in Virginia is challenging due to it’s varied and undulating terrain. Significant elevation change, off-camber curves, sweepers and switchbacks thrown at you in random fashion. At thirty-two miles, it’s a long road. An up and back run is sixty-four miles. That’s two hours at a reasonable speed. Do a double run, and you’ve spent half a day with a grin on your face. One really doesn’t “learn” this road unless you live on a nearby farm and drive it everyday. Lucky you. I love them both. However, the nod goes to the Back of the Dragon as the preferred of the two. The surrounding Virginia countryside is gorgeous. The road’s varied terrain is appealing and challenging, forcing the driver to make use of all his/her mountain driving skills. And after just a single run of sixty-four miles, you feel satisfied and pleasantly tired. 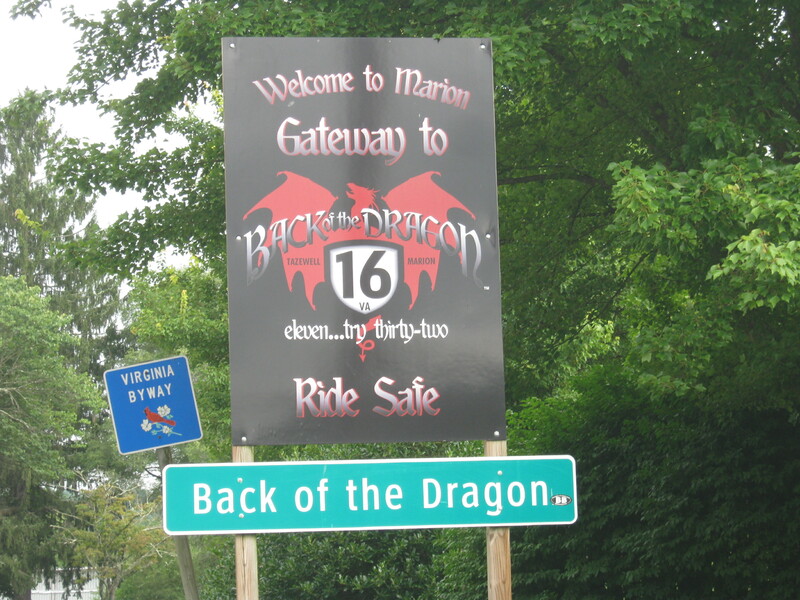 Do try to get to VA16 and The Back of the Dragon before it becomes another marketing success, if that happens at all. This is a very remote, rural section of Virginia, so what if it doesn’t happen. That’s better for those of us who found it and can enjoy it without the crowds. 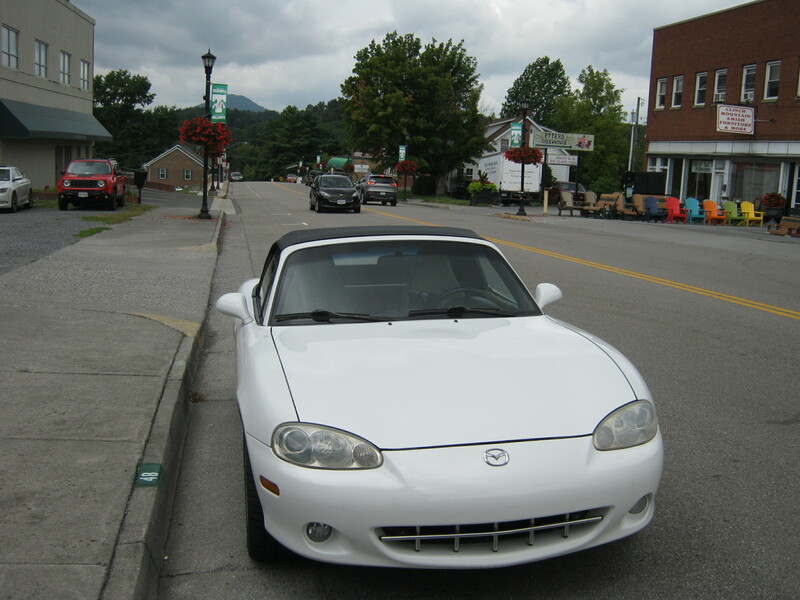 This entry was posted in Sports Car Travel and tagged Back of the Dragon, Marion VA, Mazda Miata MX5, North Carolina, sports cars, Tazewell VA, VA16, Virginia backroads by Bob. Bookmark the permalink.